Manager John McGlynn has today moved to strengthen the first team squad for the rest of the season by bringing in two loan signings from Hearts. Jason Thomson (24) is a full-back with 24 first team appearances for the Tynecastle outfit under his belt. In addition he has had two loan spells with Livingston and Dunfermline Athletic. Jonathan Stewart (22) is a midfielder and is former captain of Hearts’ Under 19s. 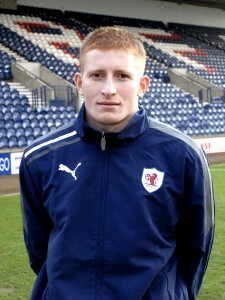 He has made 2 first team appearances for Hearts and also starred 10 times for Dundee during a loan spell last season. We welcome Jason and Jonathan to Stark’s Park and look forward to their contributions to the team during the run-in.